Consider designing a mobile app for your business? Android application is a great way to reach wide audience — Android OS steadily keeps around 80% of mobile operating system market share. And HireRussians Android developers is ready to help you establish your business presence on the mobile phones and tablets of your clients. APIs: Facebook, Twitter, Linkedin, Google maps, Youtube, etc. 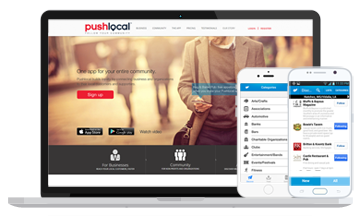 The solution for Pushlocal, consisting of a web, iOS and Android applications, is intended to connect businesses and organizations with local communities. While the website in PHP allows businesses to create messages about their specials and events, locals could get them in the form of push notifications via an iOS or Android app. The app and website look and work great. I'm very impressed by everything. It all looks almost perfect on the first try — nice job! The developed Android kiosk acts like a browser on an Android touchscreen device, allowing users to perform self-registration on systems run in merchant stores. 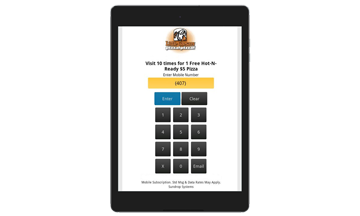 This kiosk works with any customer loyalty program that uses a customer’s mobile number instead of plastic loyalty cards. We would recommend this provider without reservation. 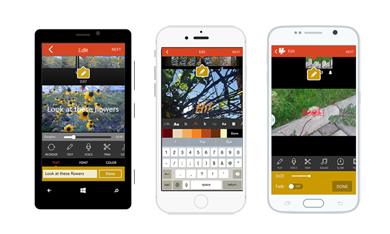 Top-rated video editor available on iOS, Android and Windows Mobile. It’s one of the most popular video editing apps with 4.5 overall rating based on almost 55,000 reviews on the AppStore. Powerful, yet easy to use, Videoshop provides every feature needed for creating high quality video content. HireRussians does yet another spectacular job of consistent quality and amazing turnaround. Their project managers have superb communication skills, their developers are experts in their line of programming, and the entire support staff is understanding and kind. I highly recommend HireRussians to any app developer.